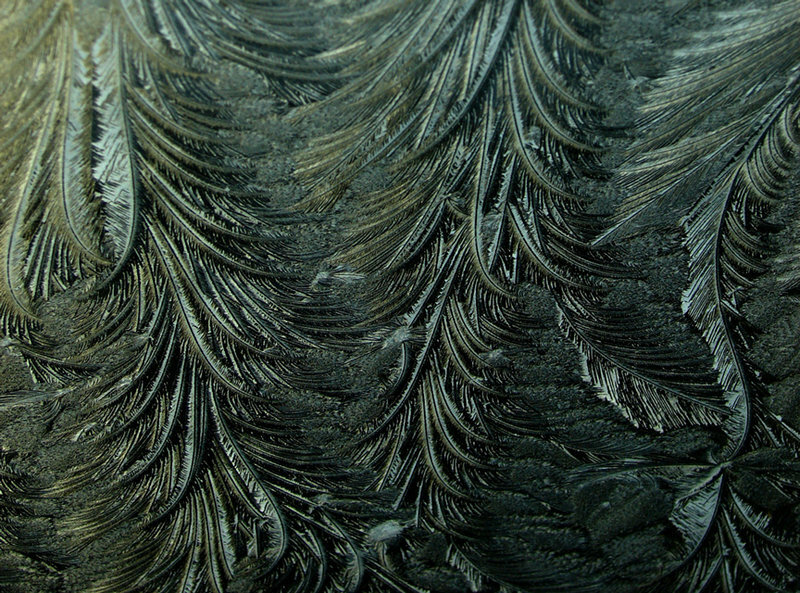 This is frost on my windshield. I adjusted levels and contrast. Pretty wild isn't it? "Cool" macro shot Scott! It's not the way I would want my windshield to look, here in Florida. It looks like some sort of ferns or plant life shot until you open the thumb. It would be even more mysterious if it was rotated 180, to make it look more like ferns. I wouldn't have guessed what it was without your description, even though I studied crystal formation in physics 101 about 40 years ago. Like the PP a lot...it gives it an interesting depth. This is very interesting! I wonder how it would have looked if you shined a light underneath the windshield, inside the car. That's fascinating - I hope you try more of these, make a small study out of it. Proudly hosted by Sargasso Networks. Current Server Time: 04/20/2019 04:13:11 PM EDT.